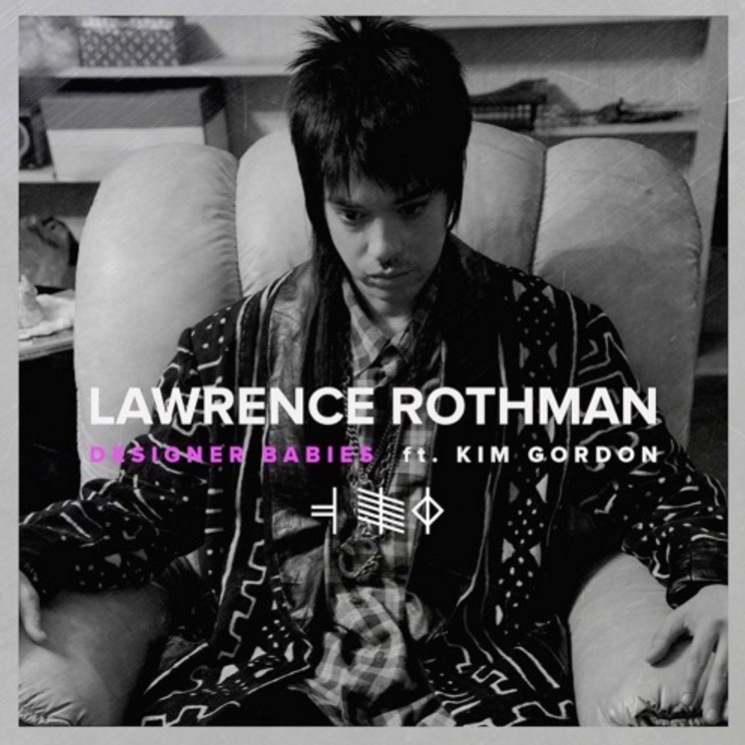 Last fall, Los Angeles visual artist and musician Lawrence Rothman dropped the Angel Olsen-featuring "California Paranoia" single and hinted at an upcoming full-length that would feature guest appearances from Kim Gordon, Charli XCX and Ariel Pink. Well, now he's further hinting at that album, sharing another sonic snippet in the form of the next single "Designer Babies." The gloomy, orchestral pop tune has some serious indie rock star power behind it, featuring Sonic Youth co-founder and avant rocker Kim Gordon, as well as additional vocals from Olsen once again. The backing band isn't slacking in the roster department, either — it's comprised of Yeah Yeah Yeahs' Nick Zinner, M83's Justin Meldal-Johnsen, Warpaint's Stella Mogzawa and Active Child. The entire affair was produced by Justin Raisen. Listen to the sweeping, dramatic tune in the player below.